A comprehensive guide and fact sheet about the 2nd dynasty of the royal house of Egypt. Discover fascinating facts and information about ancient Egypt and the 2nd Dynasty of Ancient Egyptian pharaohs. Learn about the Egyptian Dynasties with our fast fact sheets. Overview with interesting facts and information about the civilization and history of the 2nd Dynasty Pharaohs and Kings of the Early Dynastic Period in ancient Egyptian history. Fact 1 on 2nd Dynasty: The first succession of ancient Egyptian monarchs had ended with the reign of Qa'a and the main events of the era included attempts to unify Upper and Lower Egypt, military campaigns in the desert areas against the nomadic Bedouins and the Troglodytes and the building of monuments made of stone. Fact 2 on 2nd Dynasty: Abydos was the site of the burials of the first kings. They were large complexes as the first rulers had practised Human Sacrificeto ensure the pharaohs had servants in the Afterlife. Fact 3 on 2nd Dynasty: The religious rituals and practice of human and animal sacrifice appears to have stopped quite abruptly (royal cemeteries shrank in size). The second era of kings saw the start of the use of small figurines called 'Shabtis' that took the place of actual people and were placed in royal tombs. Fact 4 on 2nd Dynasty: The capital of Egypt and power base of the kings was Memphis, located in the northern Nile Delta of Lower Egypt and their burial complexes were in Saqqara. Refer to map of ancient Egypt below. Fact 5 on 2nd Dynasty: The reign of the founder of the second dynasty, King Hotepsekhemwy, was subject to continuous political strife and, following 35 years as the king, his rule probably ended in a military coup that was organized by his brother, Raneb. Fact 6 on 2nd Dynasty: Much of the discontent of the period was due to religious rivalries. Animal worship centered around the goat of Mendes and the cult of the Apis bull. Fact 7 on 2nd Dynasty: The cults of Set and Horus competed for dominance. By the reign of King Sekhemib-Perenmaat the serekhs bearing the royal names (a serekh was the forerunner of the cartouche) were not surmounted by Horus but by his religious rival, Set, who became the primary deity who received royal patronage. Fact 8 on 2nd Dynasty: Friction also continued between Upper and Lower Egypt and the power base of the kings moved from Memphis in the north to Thinis in the south of the country, the hotbed of the rebels. This led to more rebellions in the north of the Egypt. The country was embroiled in Civil War. Fact 9 on 2nd Dynasty: King Khasekhemwy, the last king or the era, eventually defeated the rebels in the north and ascended the throne. He had to put down the Northern rebellion with nearly 50,000 casualties. Fact 10 on 2nd Dynasty: King Khasekhemwy then married Nimaethap, a Northern princess. The royal marriage consolidated the rule in both regions. Fact 11 on 2nd Dynasty: King Khasekhemwy moved the capital of Egypt from Thinis, located in the southern Nile Valley of Upper Egypt, back to Memphis. Fact 12 on 2nd Dynasty: The reign of King Khasekhemwy ended the Early Dynastic Period and ancient Egyptian history moved on to the era known as the Old Kingdom- the Age of the Pyramids. Fact 13 on 2nd Dynasty: Queen Nimaethap is credited as the ancestor of the 3rd Dynasty and believed to be the mother of Sanakhte (Nebka) and his younger brother Djoser. Definition: The 2nd Dynasty of ancient Egypt consisted of a succession of kings from the same family who succeeded each other on the royal throne of Egypt by right of inheritance. 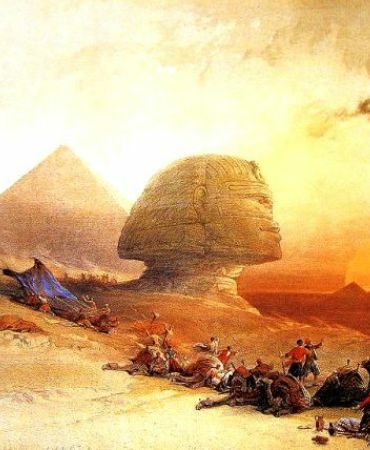 The Kings of Egypt and pharaohs of the second Dynasty ruled during the time period known in ancient Egyptian history as the Early Dynastic Period. Overview with interesting facts and information about the Pharaohs and Kings of the Early Dynastic Period in ancient Egyptian history. The following 2nd Dynasty Chronology details the names of the Kings and Pharaohs of the 2nd Dynasty and the dates of the years during which they reigned, together with a map of ancient Egypt . Discover fast, interesting fun facts about 2nd Dynasty for kids with some amazing, cool and quick information about ancient Egypt and Egyptians. Ideal for children, homework, schools, teachers and kids of all ages! Find fascinating fun facts about the history and kings of this dynasty for kids and the history, culture and civilisation of the ancient Egyptians and ancient Egypt. Interesting, fun facts about 2nd Dynasty for research, schools, students and kids of all ages. Learning about the ancient Egyptians and 2nd Dynasty inspires everyone to visit historical sites and undertake Egypt Travel and Tours to experience the wonders of this magical land at first hand. Many people choose to experience a tour of Egypt on a Nile Cruise stopping at the famous destinations and sites of Egypt such as the Pyramids of Giza and the Great Sphinx. The information and facts about 2nd Dynasty will provide you with a great insight into Egypt and the legacy of the ancient Egyptians.